Watch our Festival Trailer here! Out front of the Ag Civic Center, under the trees, will be Master Gardener information booths. Expect booths on butterfly and pollinator gardening orchids, succulents, worm composting, Florida-Friendly landscaping, a help desk and more. We will also have things to sell at our booths. 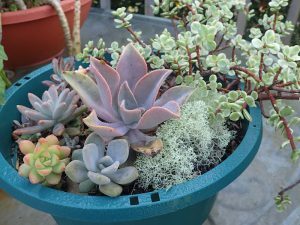 Honey, painted rain-barrels, square foot gardens, frost cloth, orchids, succulents and more. This year we have invited vendors that will have all sorts of delightful garden related items and more. expect food and music and a festival type atmosphere. There will be a kid zone hosted by Highlands County 4-H and Toby’s Clowns should be on hand. The IFAS bookstore is coming from Gainesville with lots of books and University of Florida clothing and other cool items. We will have classes in the back conference rooms and informative publications with the latest scientific gardening information from the University of Florida. That’s the latest from your Hometown Gardener! Like my Hometown Gardener page on Facebook and stay up with the latest horticulture info in Florida’s Heartland. I am a new and very small worm farmer/vermicomposter in Highlands County. I’m just getting my feet wet and learning how NOT to kill my worms and make creditable worm castings. What’s on tap at the 2018 Garden Festival with regards to worm farming? Can I help with anything in that arena?